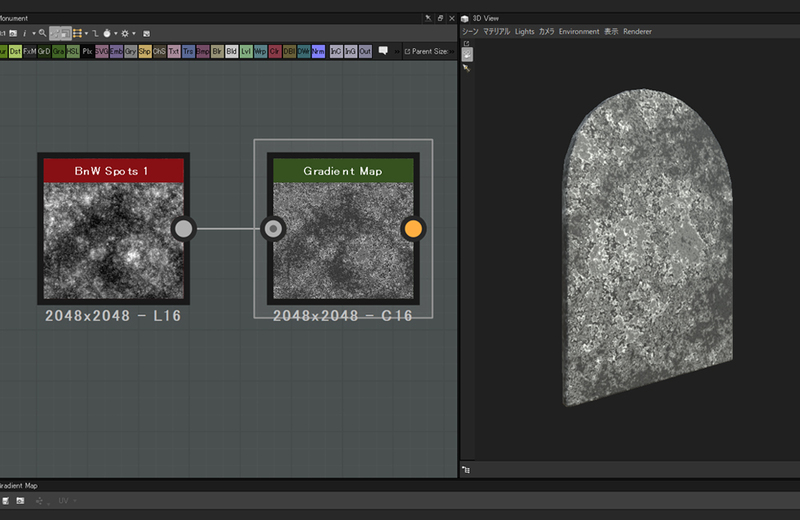 In this article, I introduce how to make texture easily by Generator in Substance Designer. We create the texture of the monuments standing at both sides of the stage. 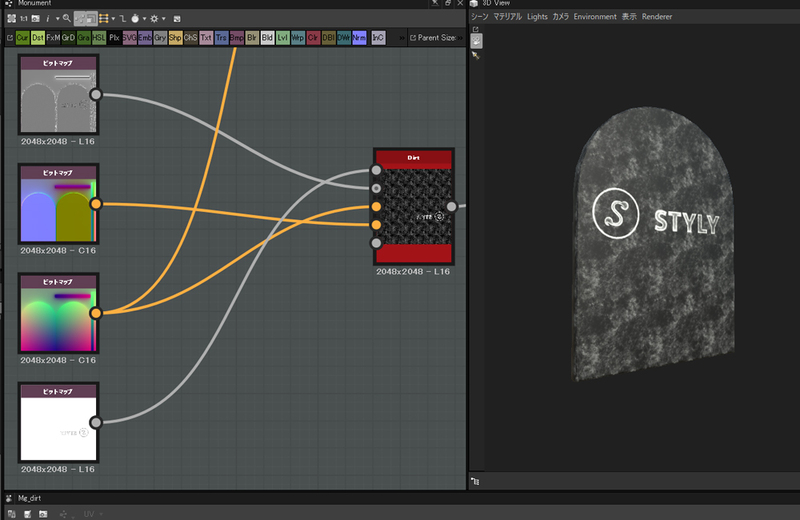 I used Mask Generator to make the texture for the casket in the previous article. This time, I also show a good trick to make a texture quickly by other Generator. Bake by using the high-poly mesh created in Zbrush. The monument with low-poly mesh doesn’t have any details at the moment. Bake it in Substance Designer. Create textures for Generator as well. ‘Curvature Map’, ‘World Space Normal’ and ‘Position’ are used for the Generator. Same as last time, we start with creating a Basecolor. 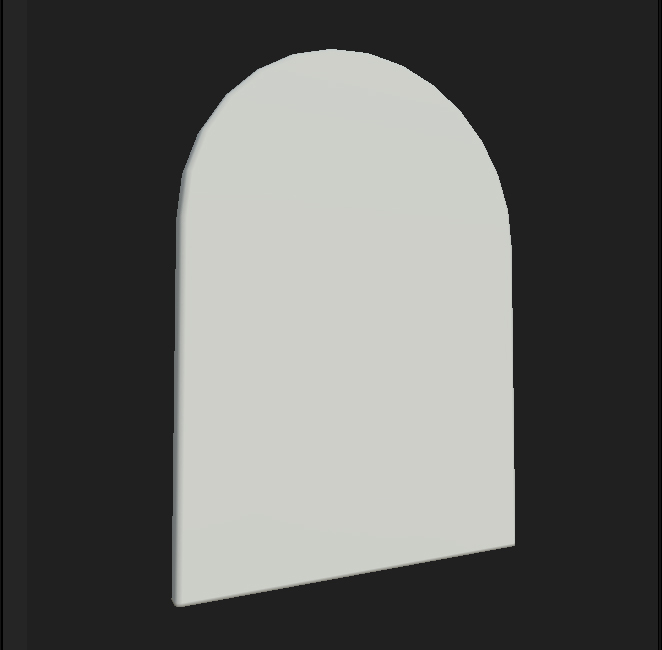 Similar to the texture for the casket, we create a texture that looks greener with moss towards the bottom. Blend textures by ‘Bottom To Top’ to give a good taste. I created the Basecolor with graduation. As it looks too clean at the moment, apply ‘Dirt’ all over it. Prepare a ‘Dirt’ node too. I created the colour of dirt from gradation. 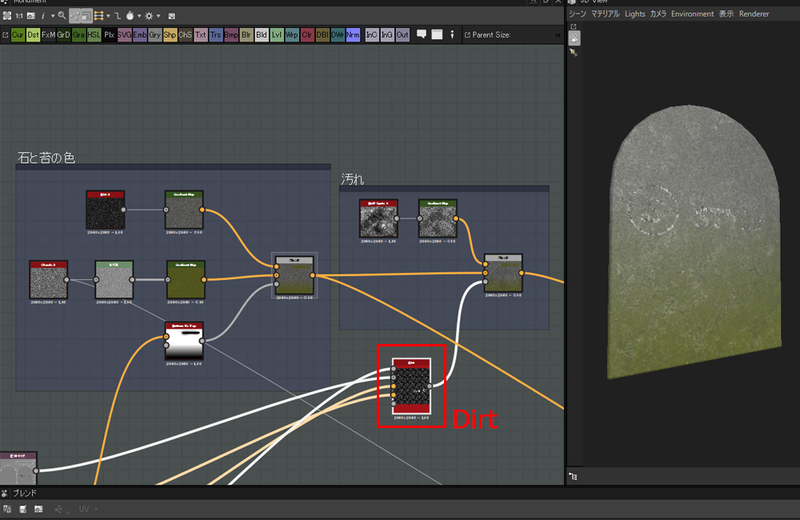 To apply dirt all over the texture, use the Dirt Generator. You can find it by typing ‘dirt’. Connect the Ambient Occlusion, Curvature, Position and World Space Normal to the input pins in order from the top. 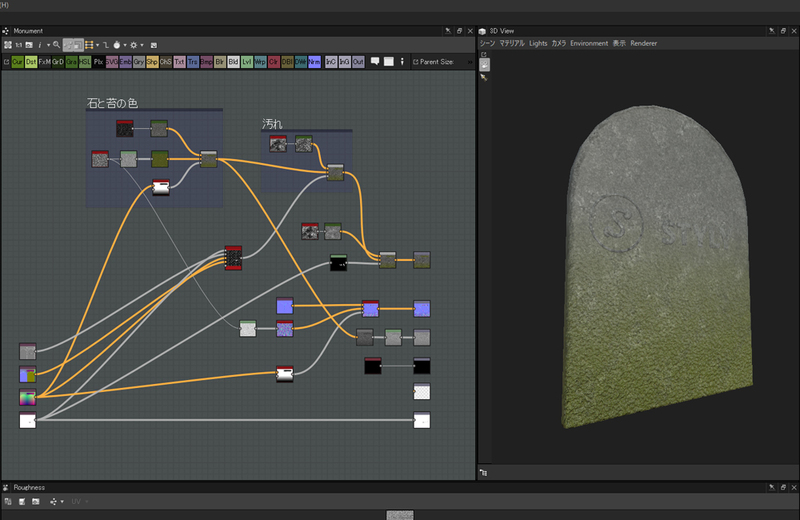 Blend the node coming from stone and moss and the ‘Dirt’ node. 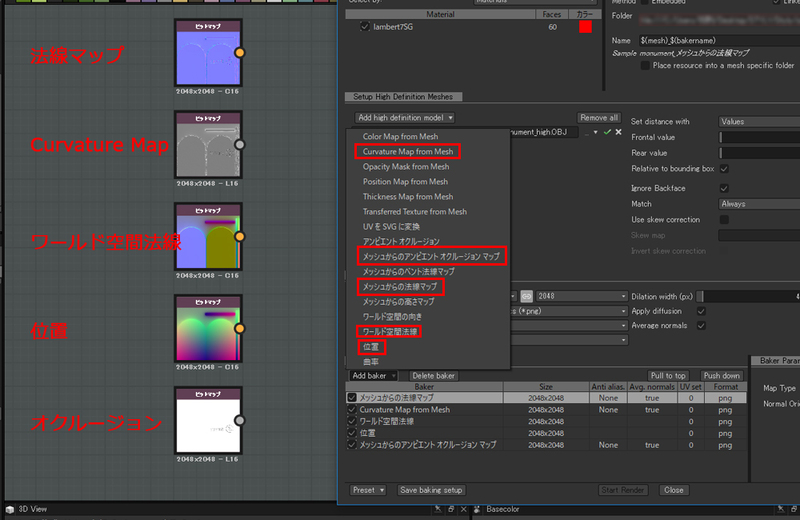 Connect ‘Dirt’ to the Opacity input pin of the Blend node. 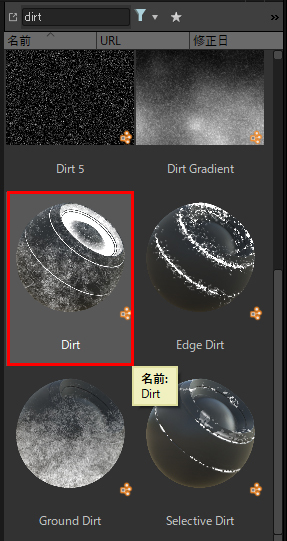 You can vary the dirt by adjusting its parameters. 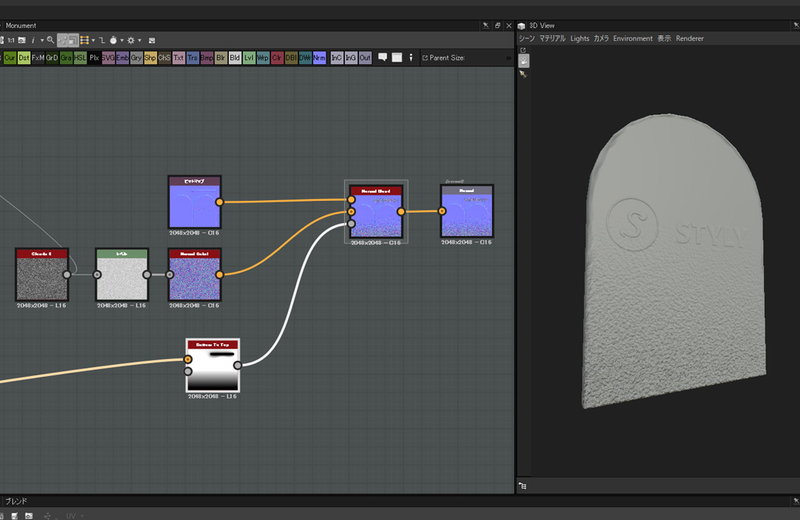 Again, blend the normal maps by ‘Bottom To Top’. Finally, adjust dirt and roughness while checking the whole appearance. OK, it’s completed now. In this article, I introduced how to make overall detail quickly by using a Generator. 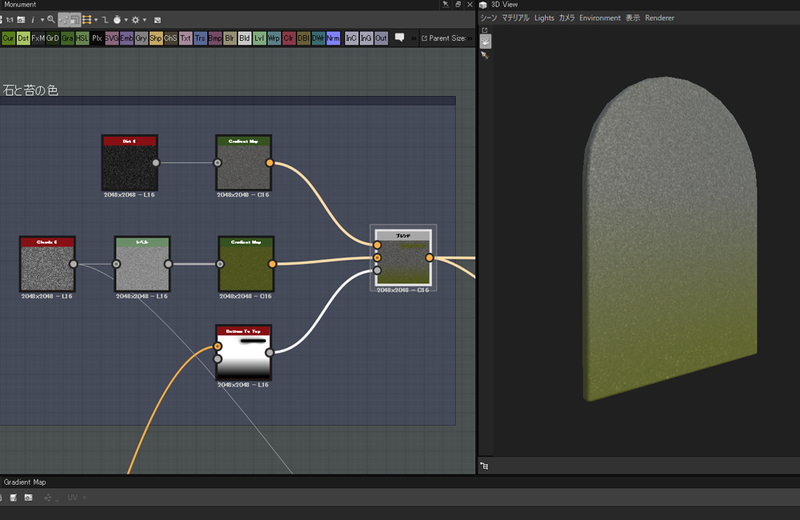 Most of the common rendering could be made only by the Generators available in Substance Designer by default. 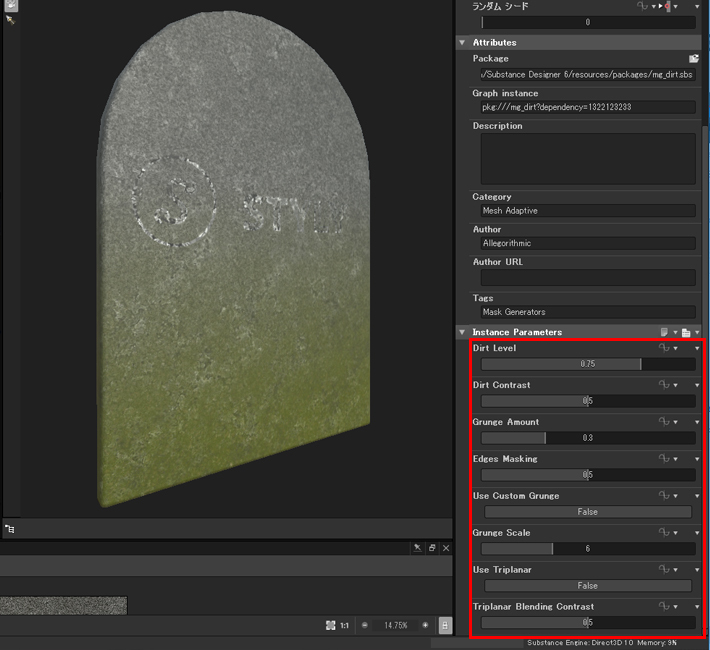 As Substance Painter also has similar functions, select the one suitable for the subject. To be honest with you, I wonder if it would be easier to paint quickly in Substance Painter when you really need to add finer details.